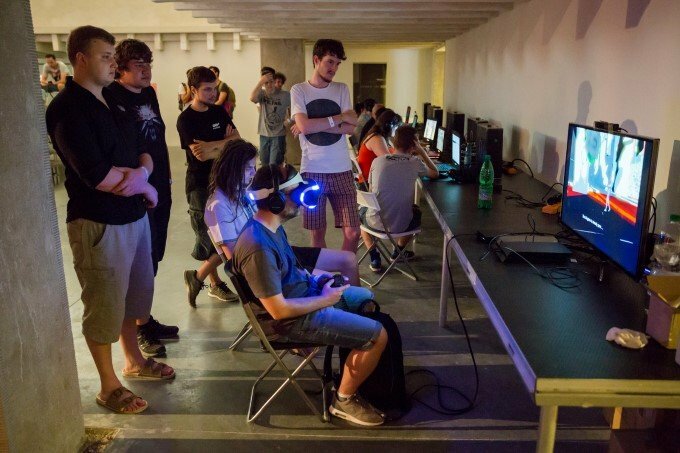 Fest Anča Game Jam (June 28 – 29) will be held during 48 hours. The theme of the event will be announced shortly before the festival. The competitive teams will be formed on the spot from the registered animators, game designers and game developers. Registered teams will present their creations to the festival audience and to an expert jury that will decide about the winner. A game jam is a hackathon for video games. It is a gathering of people for the purpose of planning, designing, and creating one or more games within a short span of time. Participants are generally made up of programmers, game designers, artists, writers, and others in game development-related fields. If you are interested in participating in Fest Anča Game Jam, please, fill in the registration form before 31st May 2018. We will contact the selected participants on 10th June 2018. By confirming your participation you will receive a full festival pass. Participants cover accommodation costs on their own. For any further info, do not hesitate to contact us at lucia@festanca.sk.